Dr. Kimbrough does not believe in shortcuts. Everything about his paractice is state of the art: staff training, diagnostic equipment, the laboratory, dental materials and instruments. For example, leading edge video imagery equipment with a miniaturized camera provides patients the same view of their teeth and gums as the staff. You actually see a close-up view of the condition and potential problem as it is diagnosed and explained to you. Our patients are aware other dentists may seem more “affordable”, yet Dr. Kimbrough has a remarkable patient retention rate. We’re extremely proud of that. Our patients know the value of their investment in the very best dental care. 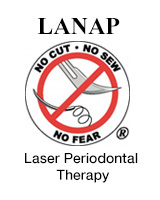 They know they’re benefitting from the highest standards to which modern dentistry can aspire.